May is graduation season. As mortarboards are tossed into the air, new graduates are celebrating their tremendous accomplishments as well as the excitement of standing at the starting lines of the rest of their lives. They can hardly wait to show the world what they can do. They are also eager to feel the freedom that comes with their independence from parental constraints. Parents also are celebrating their children’s accomplishments… and their own independence too (what parent do you know that will miss making tuition payments?). While excited about what lies ahead for new graduates, parents are keenly aware that the path through adulthood can seem like a steep climb at times and can be wrought with financial obstacles. That long-awaited “independence” (from both perspectives) might be a mirage. At some point, your child (or another family member) might approach you to ask for money. It is a common scenario – perhaps your child will be buying a vehicle or a first home or starting a business. Do you give your child the funds that she needs? Do you lend your child the funds? Do you lend the funds and eventually forgive the amount owed? While there may be numerous non-tax reasons to grant or deny the request, it is important to understand the estate, gift and income tax considerations related to such a transfer. One consideration that might factor into your decision is the estate planning opportunity for you. Providing financial support to your child may allow you to assess her “grown-up” financial judgment and tendencies and coach her accordingly on proper financial management. After all, if you eventually intend to leave a portion of your estate to your child, you might hope that she will have developed some financial experience by that point. From a purely monetary standpoint, making a gift may allow you to begin to transfer your wealth to the next generation with the objective of minimizing potential estate transfer taxes that could be imposed at your death (which begin at a rate of 40% for estates that exceed $5.49 million). Or, if you are not ready to permanently part with those funds, a loan could allow you to use your accumulated wealth for the benefit of your child. Regardless of your estate planning objectives, if you choose to make funds available to your child, the transaction is not always as simple as it would seem. The Internal Revenue Service has a history of looking at these types of intra-family transactions and has an interest in finding ways to tax them, so caution should be exercised (and a consultation with a trusted professional may be worth your time). The simplest solution would be to give the funds to your child. Under current gift tax law, you may give up to $14,000 to your child in each calendar year (an “annual exclusion gift”) without having to report the gift to the IRS. You also may make gifts that exceed $14,000, but the law requires the filing of a gift tax return with the IRS to report any excess. Under most circumstances, as long as the sum of lifetime gifts that do not qualify for the annual exclusion does not exceed your current lifetime gift tax exemption amount (currently $5.49 million), tax will not be due. If you are married, you and your spouse can combine your separate $14,000 annual exclusion gifts to give $28,000. Be aware that there are reporting and consenting requirements if more than $14,000 comes from an account or property titled in only one spouse’s name. Consideration should be given to the type of asset used to make a gift. For example, gifting an asset (other than cash) which might have a tax basis that is different from its current value (for example, stock, mutual funds, real estate), can generate income tax consequences for the recipient as well as the donor. Perhaps you decide to lend your child the funds. The IRS publishes minimum interest rates that must be charged for these types of loans (called “intra-family loans”) which are usually lower than what a commercial lender would charge for a loan. The lower rates can result in substantial savings for your child over time. There are some compliance rules, though. First, failure to charge or collect the appropriate rate of interest could have gift tax consequences for you. Additionally, intra-family loans are subject to income tax. Depending on the size of the loan, you might need to report the interest portion of payments on your income tax return. If no (or insufficient) interest is charged or paid, on audit, the IRS could recharacterize the transaction as one where 1) your child paid interest to you, 2) you should have reported the interest and paid tax on the interest, and 3) you made a gift in the amount of the interest back to your child. Although the recharacterization might be fictional in terms of actual money changing hands, the tax consequences could be real. What if, after making a loan, you decide to forgive principal and interest repayments from your child each year? Historically, the IRS has expressed disapproval for family forgiveness loans and has attempted to classify them as disguised gifts (subject to gift tax reporting). Cases addressing this area of the law have permitted certain note-forgiveness transactions between family members, and have allowed the forgiveness of interest and principal payments as eligible for annual exclusion gifts (currently $14,000 per year), only when various factors exist. There is no simple litmus test, but the IRS will evaluate, among other things, your child’s ability to repay, your genuine expectation that the loan will be repaid, and whether there is sufficient supporting documentation. Failure to meet some or all of the criteria could mean that the transaction would be viewed (and subject to reporting) as a taxable gift rather than an annual exclusion gift. At some point after the fog of graduation has cleared, you and your child may realize that neither of you are as independent of the other as you had thought. There may be many good reasons to write a check, but be wary of the tax traps that may be lurking. Sue Haberberger concentrates her practice in the areas of estate planning and administration and wealth transfer. She assists clients in the preparation, revision and updating of estate planning documents including wills, revocable living trusts, irrevocable life insurance trusts, powers of attorney (for both asset management and health care), and living wills. 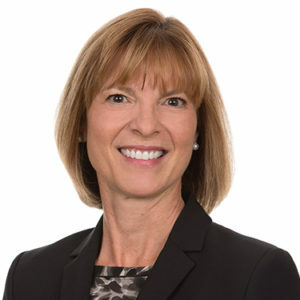 Sue also advises individuals on planning for and minimizing estate taxes, and counsels clients on the development of gifting strategies, including annual exclusion gifting and charitable gift planning. Sue also counsels clients on asset protection issues. Contact Sue directly at shh@ymh.com or 919-782-6860. The information contained in this article is of a general nature and does not constitute legal advice. If you would like advice related to your particular situation, please contact one of the estate planning attorneys at Young Moore and Henderson, P.A.